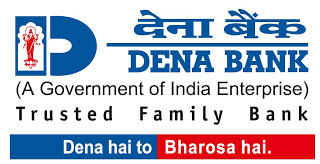 Dena Bank has published Advertisement for below mentioned Posts 2017. Other details like age limit, educational qualification, selection process, application fee and how to apply are given below. All those aspiring to apply can check out various information like eligibility criteria, salary, Total vacancy, Selection Procedure, Job description, last date, Application procedure and other key information required for the post below. Kindly go through all the below details before submitting your application Offline. Shall be an Officer with 10 years of experience in any Nationalized Bank/ RRB/ Pvt. Bank. Preference shall be given to candidates having experience of service in PSU Bank. more than 65 years subject to good health. The application fee will be by way of Demand Draft drawn in favor of Dena Bank payable at Bhavnagar. The candidate is required to take a print out of the application available on our web site and submit to the respective Zonal Office along with required documents/ certificates in respect of eligibility criteria, and application fee. The addresses of Zonal Office, Bhavnagar for sending duly filled in applications are as under.Dena Bank Zonal Office, Dena Bhavan, Botad 2 nd Floor, Lokhand Bazaar, Khargate, Bhavnagar- 364001.